The Second World War vet, whose name is not to be revealed, filed in a civil case against the producer of the series, together with the World Association of Home Army Soldiers. Nico Hofmann, the producer, is being accused of tarnishing the reputation of Polish soldiers and their efforts against the Nazi occupation. Attorney Monika Brzozowska has confirmed that the mini series will face civil action. 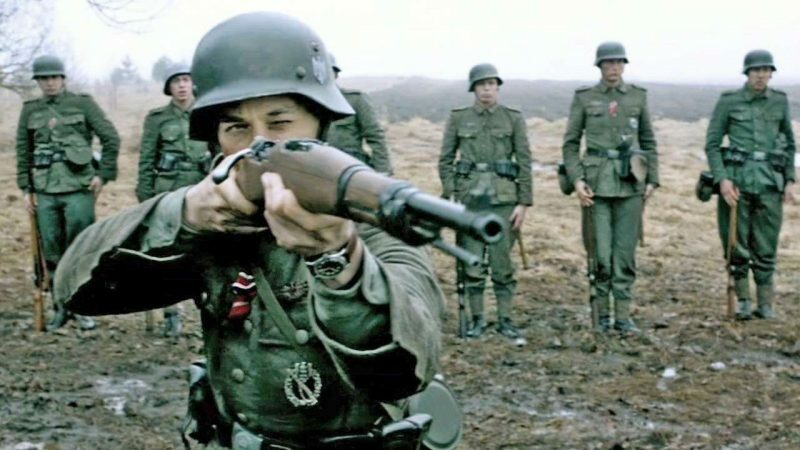 It is not the first time the series have caused offence among Polish people, for the way it portrays the Polish Home Army servicemen during the terrible times of the Holocaust and as they played down German responsibility. The series were broadcast for the first time in Germany and Austria in March 2013 and were originally entitled Unsere Mütter, Unsere Väter ( Our Mothers, Our Fathers). TVP broadcast the three 90-minutes episodes of the mini series in Poland, under the name Nasze matki, nasi ojcowie, in June 2013. It was a real success and it achieved high ratings but it also generated rage and conflict across the country, since Polish people regarded its portrayal of Home Army members as grossly unfair. Producer Nico Hofmann is being accused of infringement of personal rights, the right to national pride, the right to cultivate national identity and his series have been viewed as extremely offensive to all of the Home Army soldiers who lost their lives during the Second World War, the Krakow Post reports. The Krakow case seems to require a notice to be shown before each episode is broadcast, stating that the only ones responsible for the Holocaust were the Germans and a public apology to come from all TV stations that have broadcast the series so far, plus a 50 thousand zloty compensation. All the Home Army emblems and other related badges in the series will have to also be removed. The rights to the film have already been sold in Ireland, where it has already been broadcast in November and it is due to be shown on TV in the United States and in the United Kingdom in 2014, under the name Generation War. Producer Nico Hofmann had to apologize before, sometimes in June last year, after an interview with Polska The Times. “It was a mistake not to consult with Polish historians… this is a lesson for me. I am sorry we offended the Polish people,” he said. This case seems to put a lot of emphasis on how sensitive Polish people are, when it comes to all they have been through during the Second World War.